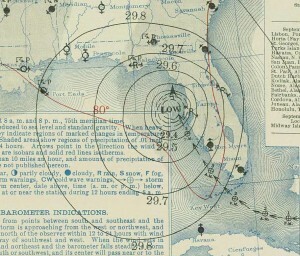 If you follow tropical forecasts closely, as I do, you will be interested in this post-storm analysis of Tropical Storm Erika. 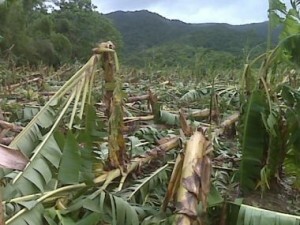 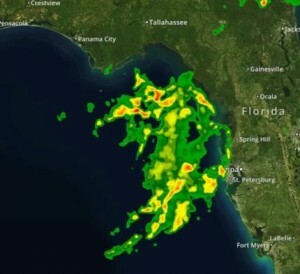 The National Hurricane Center provides a report here which explains why Erika’s forecast was not as good as predictions of tropical storms in previous years. 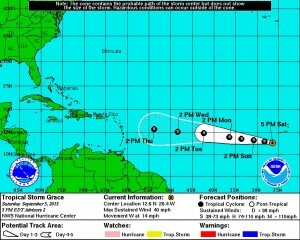 As of 5 pm today, the National Hurricane Center announced the formation of Tropical Storm Grace, out in the eastern Atlantic Ocean. 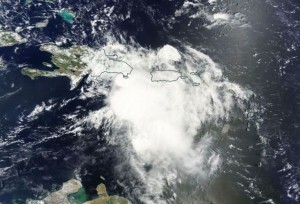 It will be going through a large area of dry conditions and strong wind shear so is not expected to deepen much.